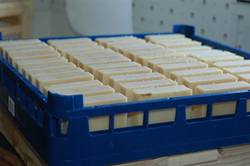 Our soaps wouldn't be the same without the wonderful milk from our dairy goats. 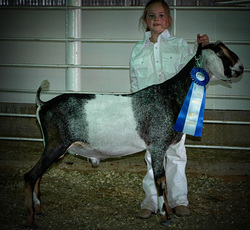 Besides providing us with lots of milk, these dairy divas tour the states, collecting ribbons at various goat shows. 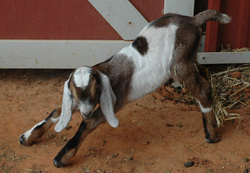 Get to know our goats at their very own website- www.lilmacd.com. 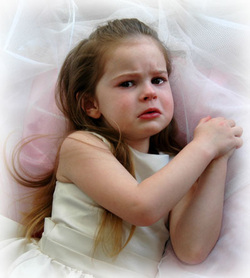 God blessed a delightful couple (hee-hee) with two precious little girls. So the mom searched everywhere for a soap that, in addition to getting them clean, would be gentle and moisturizing. She discovered goat milk soap- soap made with 100% goat milk (soap that was not diluted with water or made with a couple of teaspoons of powdered milk). It was marvelous! 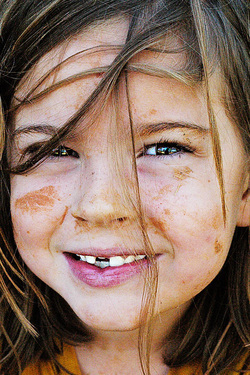 The girls were happy campers with soft, moisturized, clean skin. Time passed. The girls grew and grew. The mom decided to surprise the oldest daughter with a pony for her birthday. 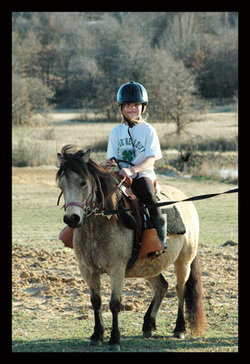 She searched high and low and finally found a cute rolly polly pony named Fancy Pants. When presented with the birthday pony, the oldest daughter smiled politely AND ASKED IF SHE COULD TRADE THE PONY FOR A GOAT! 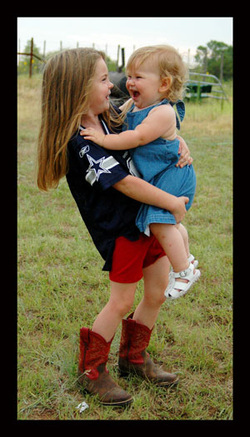 At this point, the mom knew she was in trouble, because what little girl wants to trade a pony for a goat!?! The older daughter got her wish (although the mother kept the pony because it was a dang expensive little pony and there is a younger daughter who will *hopefully* share her mother's love of horses). 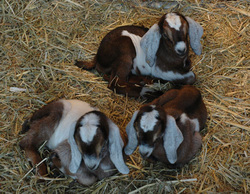 Whoever coined the phase, "multiply like bunnies" had no experience with dairy goats. Dairy goats put rabbits to shame. 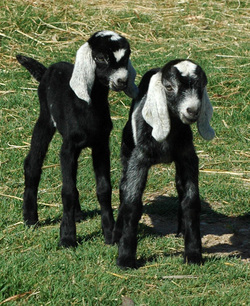 Soon, there were lots of dairy goats. 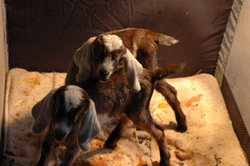 Lots of dairy goats= lots of goat milk. While milking the 7th goat of the morning (because the little girl can only milk so much and then the mother has to take over, because the father will not touch the "breast" of a goat) she (the mother) had a brilliant idea! 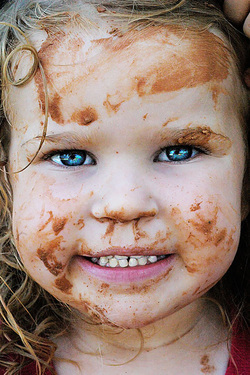 She would learn to make her very own goat milk soap! She read lots of books, articles, and online forums. She took soap making classes. She spent hours and hours researching oil properties and how they affect skin. 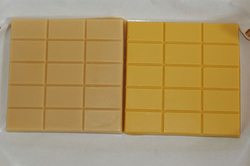 Thousands of bars of soap were made and tested on unsuspecting friends and family. 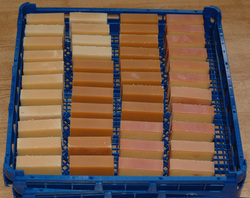 The result: the mom can make a stellar bar of goat milk soap! 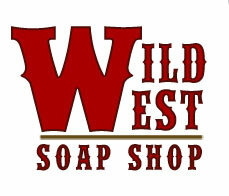 And thus, the Wild West Soap Shop was born.